To order, please call 1-855-358-8966 if you are a US-based institution or health care professional. References: 1. Rapivab [package insert]. Summit, NJ: Seqirus USA Inc; 2018. 2. Kohno S, Kida H, Mizuguchi M, Shimada J; S-021812 Clinical Study Group. 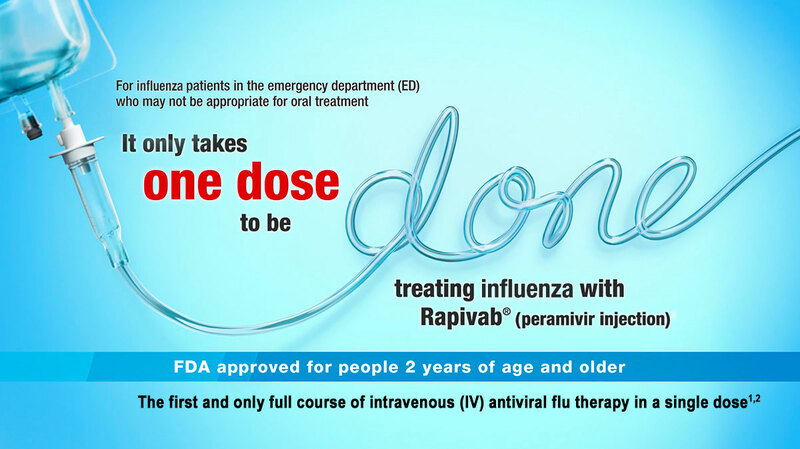 Efficacy and safety of intravenous peramivir for treatment of seasonal influenza virus infection. Antimicrob Agents Chemother. 2010;54(11):4568-4574. 3. BioCryst Pharmaceuticals, Inc. Summary of clinical efficacy. Data on file. 2014. 4. Managed Markets Insights & Technology, LLC website. https://formularylookup.com/. Accessed March 6, 2017.